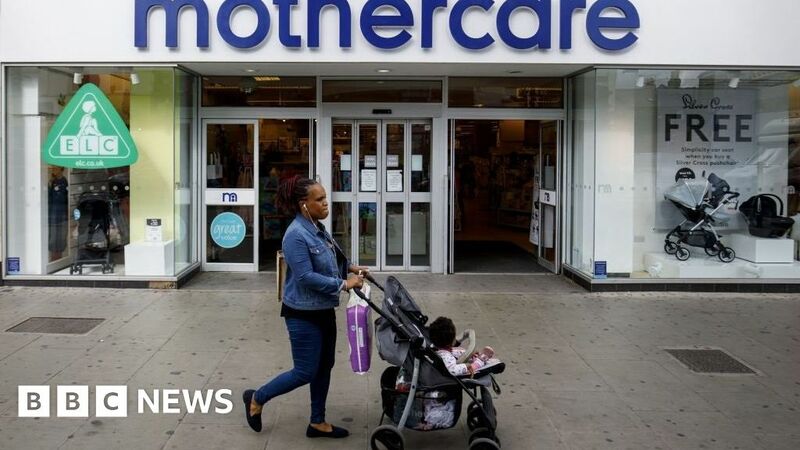 Mother and baby retailer Mothercare has blamed a “difficult consumer backdrop” for a fall in sales in the UK in its last quarter. Sales fell 11.4% and online sales dropped more, by 16.3%, the firm said. The business is in the throes of a UK store closure programme, with 36 currently in closing-down mode. By the end of March, there will be 79 stores, down from 137 in May 2018. The firm kept its guidance for the financial year unchanged. Last year, Mothercare underwent a company voluntary arrangement (CVA), which allowed it to shut loss-making shops and reduce rents. It also raised £28m through issuing new shares. Mr Newton-Jones left in March last year, but then returned in May. As well as the difficult consumer backdrop, the company said the fall in sales had also been affected by “aggressive discounting” in the previous year, which had inflated sales in that period. The figures – which are like-for-like, stripping out changes to stores – are for the 13 weeks to 5 January. The international business was showing signs of recovery, he said, with sales down 1.1%.